“When I was a kid, pottery was for ‘everyday’. 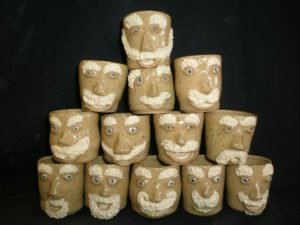 Pottery was art that we were allowed to hold and Dad introduced us to the people who made the vessels from which we ate and drank. We learned the value of handmade – the love and care that went into the art we used. The bowls, platters, pitchers, mugs, and wine glasses – everything was used, touched, and enjoyed. 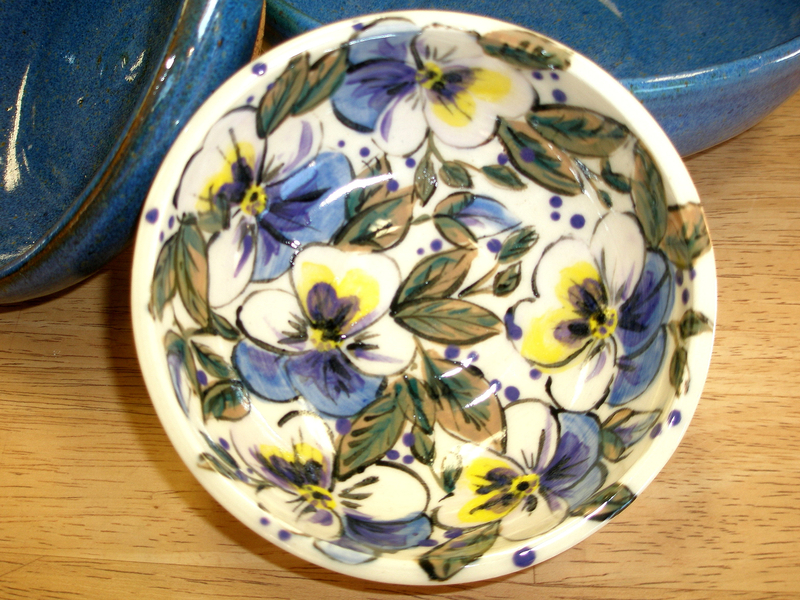 We grew up knowing that everything tasted better from pottery. 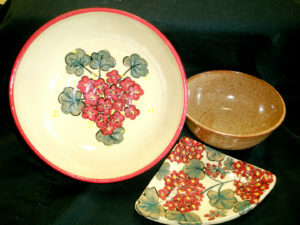 Family and friends gathered, laughed, and shared around meals in pottery dishes. As soon as I could, I was amassing my own collection, and finding my own favorites. I finally found my way into the pottery studio to enjoy the making, as well as the using. Now family, friends, and even strangers gather around meals served in my bowls, dunk cookies stored in my jars, and stow their errant change in my dishes. 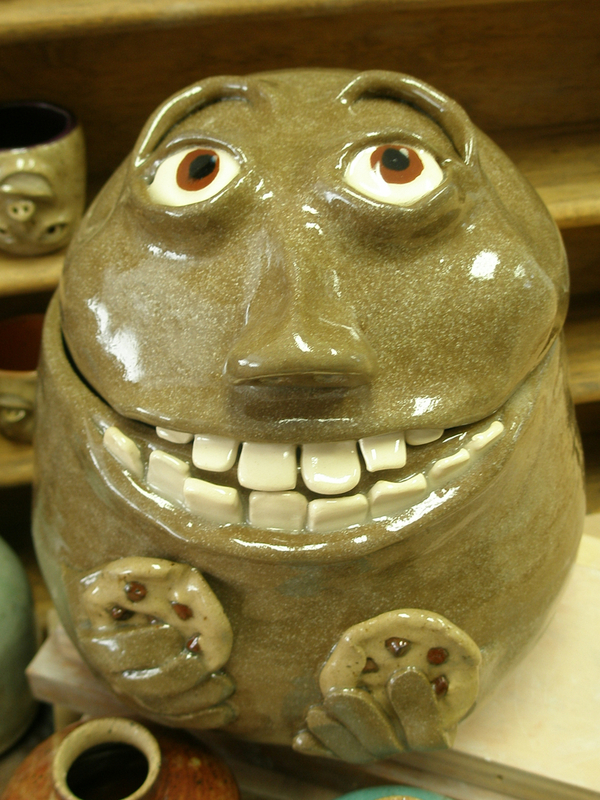 I enjoy seeing people laugh (and sometimes recoil) at my face pottery. 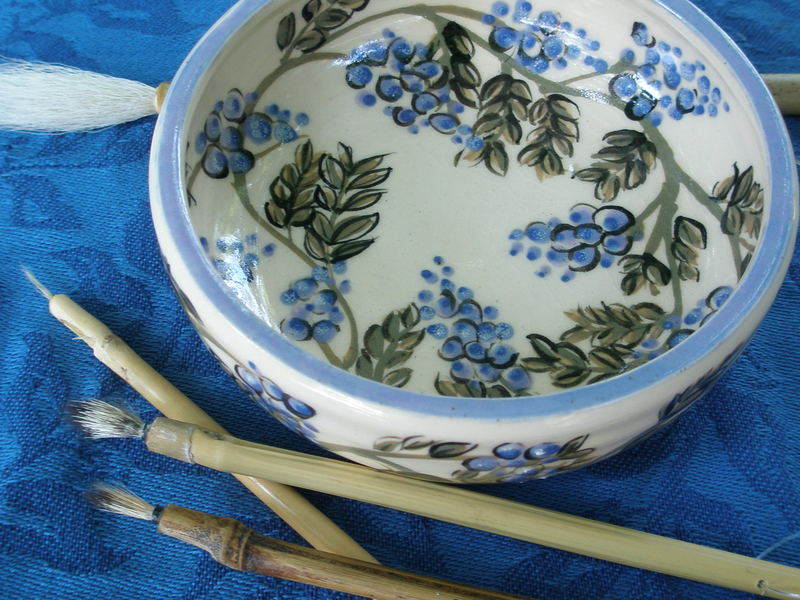 I’ve truly enjoyed returning to my painting roots as I add gardens to pottery I’ve made and watch smiles emerge. I have to admit, that all feels pretty good. 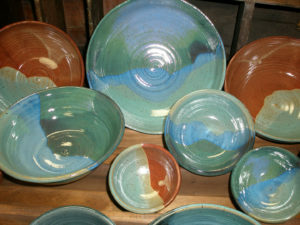 Su Nottingham works out of Icehouse Pottery in Riverdale, NJ. She shows annually with Icehouse and bi-annually with PGNJ at the Mountainside shows, although she’s been known to participate in other shows on occasion.